Wine of Austria. 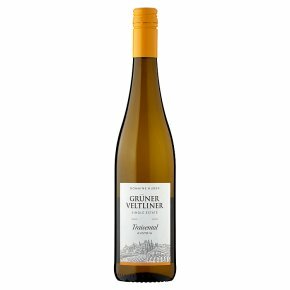 Grüner Veltliner is Austria's foremost white grape variety and this is a benchmark example: Fresh citrus and hints of white pepper on the nose with superb flavours of citrus and orchard fruits and a racy, mineral edge. Its flavours go particularly well with asparagus and perfectly suit Asian cuisine as well as seafood.